Convergence is a big buzzword. For many industries -- particularly in the tech space -- it's the buzzword. Which is why ever since there has been an "Internet of Things," there have been articles talking about the coming convergence of platforms. And there have been websites and RFCs and press releases describing -- and in some case, implementing -- what they'll breathlessly describe as God's great gift to interoperability APIs. The upsides are obvious. Instead of having smart door locks that use App #1, smart lights that use App #2 and smart thermostats that use App #3, devices that spoke a common language would be able to coexist, using the same app and cloud infrastructure. We see faint hints of this in action today when device manufacturers open their APIs or somebody gets a new service working with IFTTT. But to many, the holy grail of convergence is the seamless interoperability of any and all devices that care to call themselves "smart," with any app and cloud service -- including those provided by Apple, Google and Amazon. And therein lies the rub: these three big companies control not only the design and distribution of millions of smart devices, but also a huge chunk of the world's cloud infrastructure and the most sophisticated public-facing AIs on Earth. 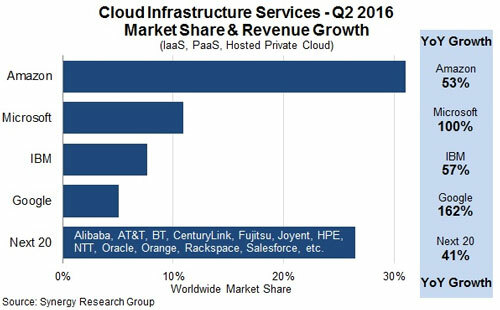 As research firm SRG noted from Q1 to Q2 of last year, "the big four grew their cloud infrastructure service revenues 68 percent...while the next 20 largest cloud providers grew by 41 percent and all other smaller providers grew by 27 percent." Considering that the industry is forecast to have very strong growth through at least the next few years, the amount of money on the table -- and the portion likely to be consumed by the top vendors -- will only get larger. 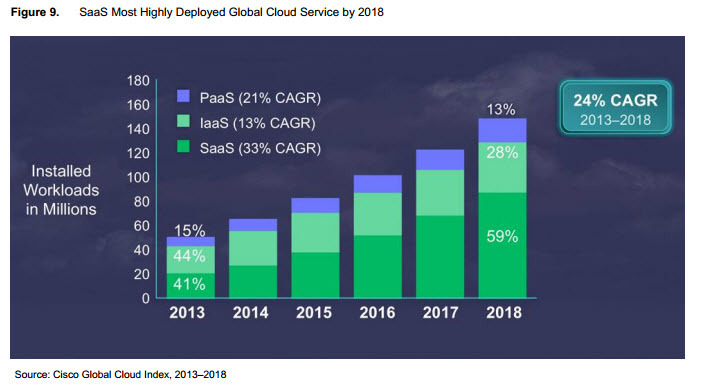 While the disparity between haves and have-nots in the platform space is extremely pronounced, there's a similar scenario in place for application service providers, remote remote management CMS/DMS providers and the like: the largest few control the lion's share of the market, with numerous smaller companies fighting for what's left. Perhaps the brightest spot in the ecosystem is the device makers themselves. With so many CPG and CE companies looking to add smarts to their devices, no one company has emerged as the big leader, and it's unlikely that this will change in the near future. After all, the world's biggest and best smart lightbulb company is unlikely to also dominate the personal healthcare market, the kitchen appliance market, or the smart toy market. So in theory there will always be a healthy number of relatively non-competitive entities adding more "things" to the IoT. While it stands to reason that most will continue to work with the biggest platform and service providers, they're not all going to use the same providers. Of course, there's also no reason why these thing manufacturers would need to continue to use the same providers, either. So what's to keep a lucrative client from switching from one app platform or PaaS to another? Well, at the moment since pricing between the big providers is virtually at parity, it's at least partly the difficulty in switching from one to another (this is particularly true at the CMS/DMS level, since there are a number of companies today who will help you migrate from one platform provider to another). Ultimately it won't be technical difficulties that prevent convergence of platforms and management systems. It will be economic forces and business decisions. Sure there will be (and already are) portions of the system that get standardized. XMPP, MQTT and even HTTP are are used to carry messages in far more installations than custom protocols. TLS is slowly but surely emerging as the security protocol of choice. And of course the grandaddies of them all, TCP and UDP, are used as the carrier protocols in nearly all terrestrial applications. But when it comes to the systems that control device provisioning, content management, remote control and business logic, my guess is that providers will continue to see more benefit in staying apart than working together.